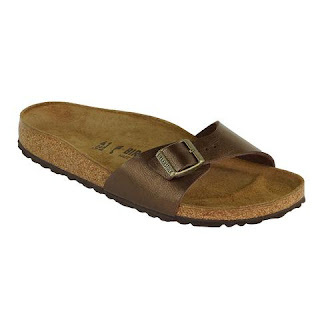 Snag a pair of Birkenstock Madrid Birko-Flor Sandals JUST $50 (Retail $89.95) with code PZY50 at checkout. The BIRKENSTOCK Madrid is the oldest member of the family of models, making it a veritable classic. Launched as a gymnastics sandal half a century ago, this simple single-strap model has gone on to become a firm fashion favorite. The upper is made from the skin-friendly, hard-wearing synthetic material Birko-Flor. For 1/2 sizes, order next size up. N = Narrow Width.